Jerusha's birthday. A day of clouds and calm before another shift in the weather and the progress toward the reign of the Pleiades and Orion in the coming long nights. 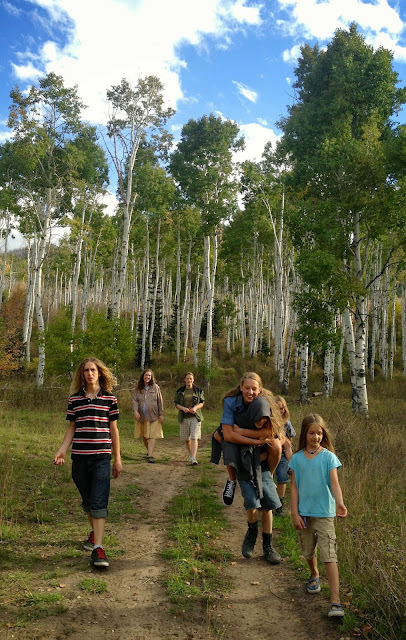 The aspens are changing according to the dictates of individual organs, so the hikes need to be taken before these high places are under a blanket of next year's snow.